This one will go in Breanna's album. It is the companion pictures to the grandson layout. The doily under Breanna is a paper one that I found in my grandmother's things. 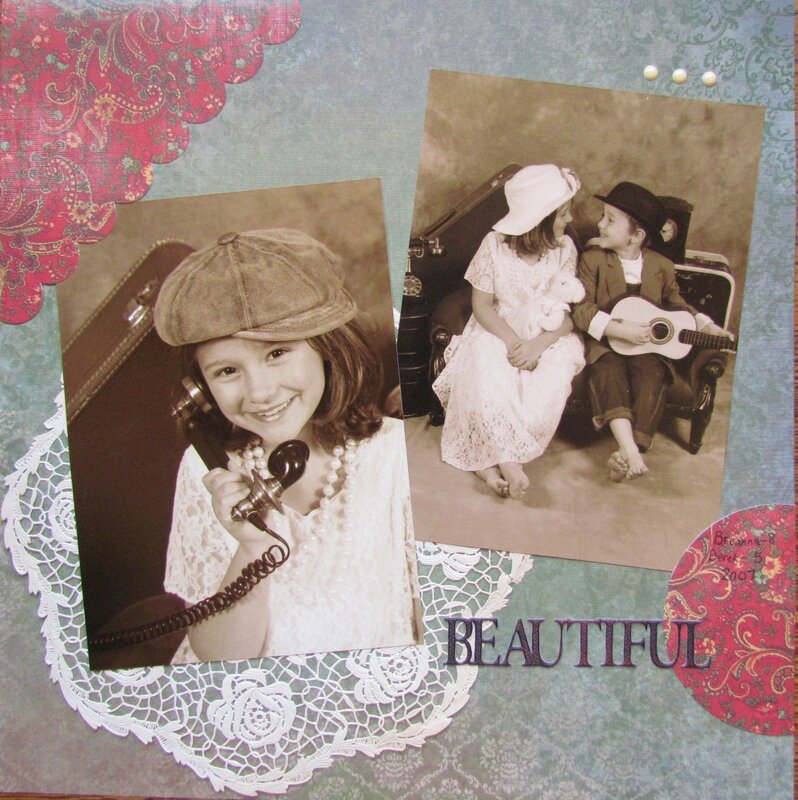 How nice that you were able to use something of your grandmothers on this layout for Breanna. The pictures are adorable. This one is my favorite!